Wastewater Treatment: Equipment, Systems, Technologies, etc. Is your facility meeting local and federal effluent regulations? With increasing pressures to properly treat and utilize wastewater, it’s more important than ever to be resourceful. 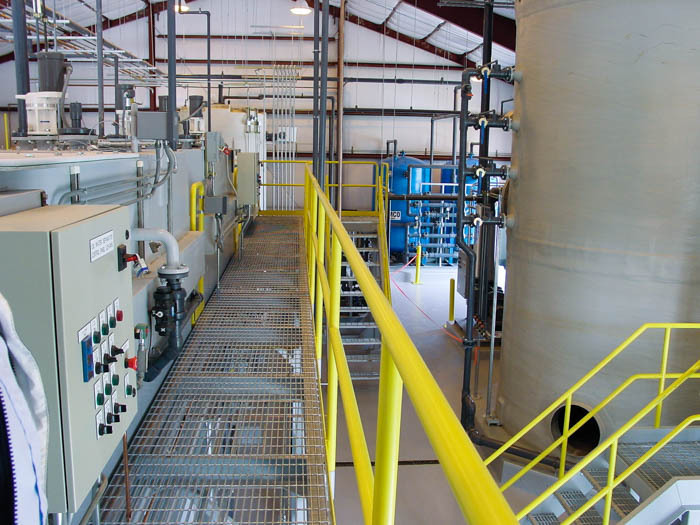 Whether you’re looking to treat brine, mine drainage, cooling tower blowdown, fracking flowback, produced water, or tailings water, SAMCO can help you economically meet municipal regulations or help you properly treat your wastewater for reuse. Biochemical oxygen demand; high levels of BOD indicate an elevated concentration of biodegradable material present in the wastewater. Nitrates and phosphates; large amounts of nitrates can lead to an increase BOD and extensive weed growth, algae, and phytoplankton, leading to eutrophication or environmental dead zones. Pathogens; viruses, fungi, or any other microorganisms that can be present in wastewater that can lead to all kinds of health issues. Metals; when left in wastewater in high concentrations, metals can cause extensive damage to the environment and human health. Total suspended solids; harm aquatic life and scale and foul piping and machinery. Total dissolved solids; cause issues with aquatic life, irrigation and crops, and they can also seep into groundwater. Synthetic chemicals; can be transmitted to humans and the environment through wastewater, causing damage to the environment and human health. How do you choose the best wastewater treatment system for your plant? What are some ways your facility isn’t meeting effluent regulations and how do you solve them? Is wastewater treatment necessary for every facility? What are the best industrial wastewater treatment equipment supply and technology companies? How do we meet our local POTW discharge requirements? Our discharge water doesn’t meet EPA discharge requirements. How do we clean it? What is the most efficient way to meet our wastewater SPDES permit discharge requirements? We own and operate a food plant. How do we lower our BOD to meet discharge regulations for the city POTW and lower our surcharge rates? What is the most economical way to remove oil and grease from our plant’s wastewater?